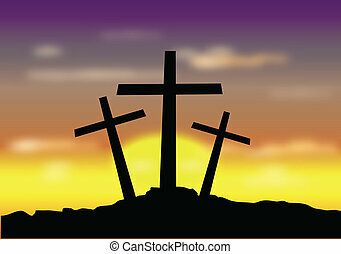 Cross of christ and pink sky. 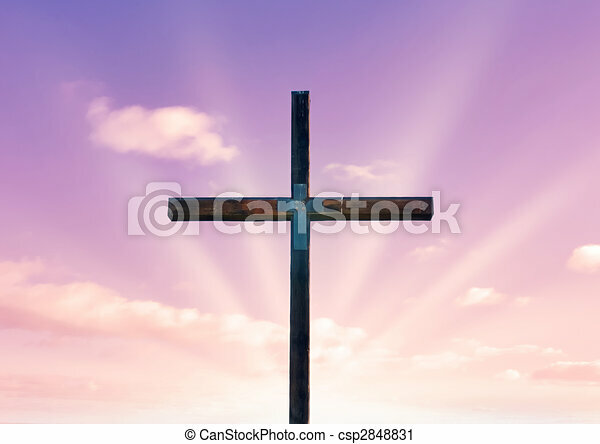 Cross of christ in field in front of a pink sky. 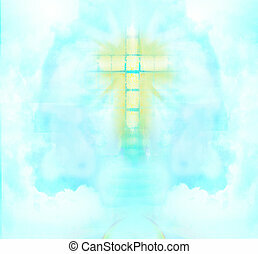 A transparent Cross giving out heavenly light in the sky. 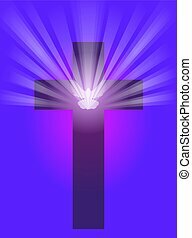 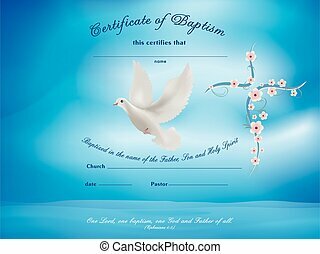 An illustration of a cross with a dove in front and light rays shining from it, on a dark purple and pink background. 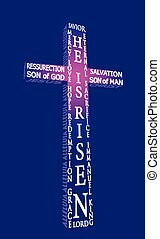 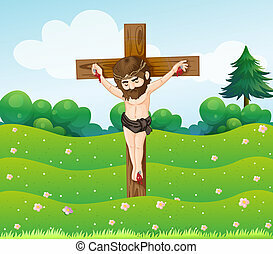 A colorful vector cross illustration made of religious words, representing Jesus resurrection on Easter Sunday, with a dark blue background. 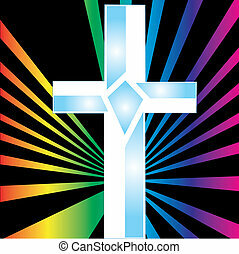 Showing the power of God and the love he gives us. 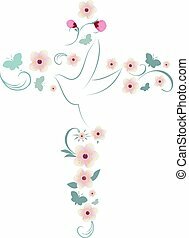 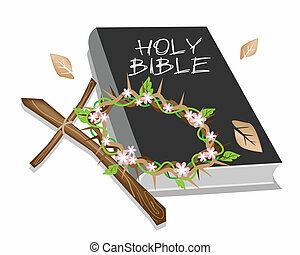 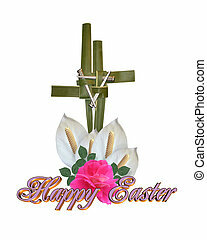 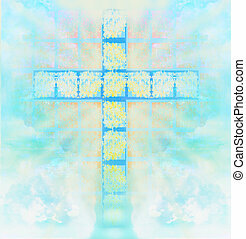 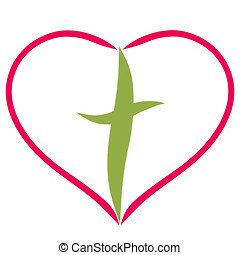 An isolated vector cross illustration made of religious words, representing Jesus resurrection on Easter Sunday.